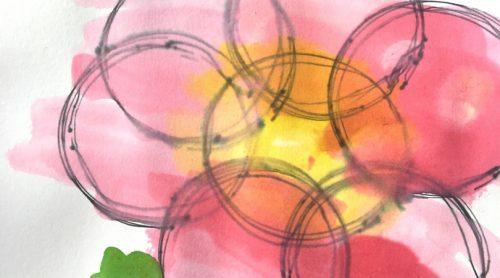 Create watercolor circles by placing a pen inside a fidget spinner hole. 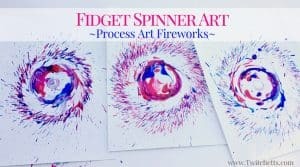 This fidget spinner art is great for kids of all ages! It’s a fun process art that will be different every time. If you don’t have at least one fidget spinner in your home you can find one in nearly every kind of store these days. My kids have a few and I’m still looking around for more creative ways to use them. We have fun painting with our fidget spinners, but it is a bit messy so it can’t be done every day. 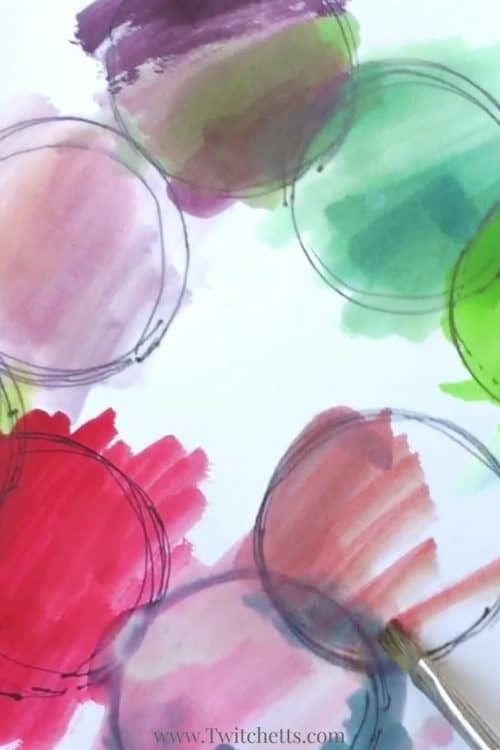 These watercolor circles are a perfect way to use your fidget spinner in an art project. 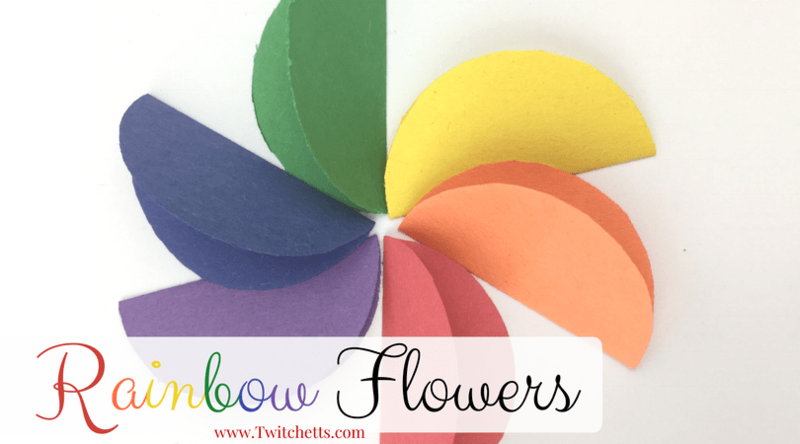 Since my little girl is obsessed with creating flowers, she used the fidget spinners to create a fun flower shape, but you can use this technique to make any shape you want! Fidget Spinner. One with holes on the ends. Black Pen. I loved the look from the felt tip, but any will do. Watercolors. I use these liquid colors, they last for years! 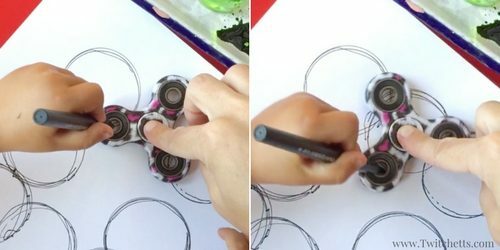 Creating your fidget spinner art. Place the spinner onto the paper. 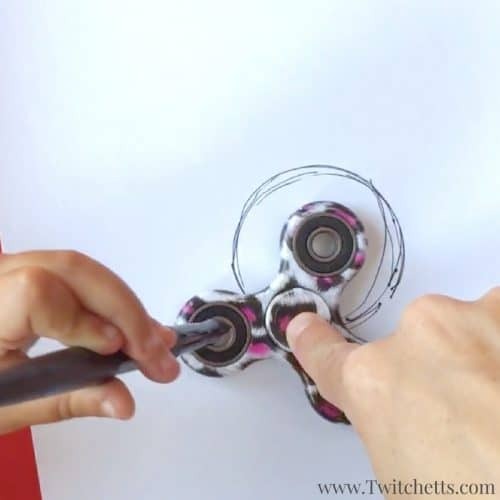 Press down on the center of the spinner and place the pen in one of the holes. 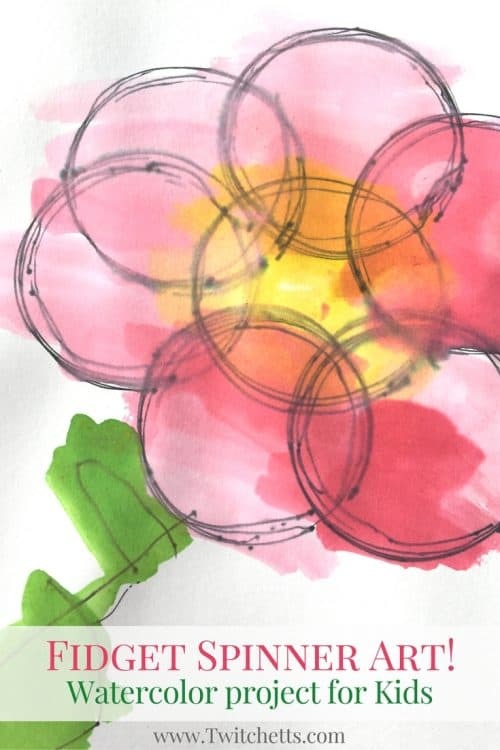 Spin the pen back and forth creating a sketched circle effect. After making these with a few more times we found a little roll of painters tape will secure your spinner. 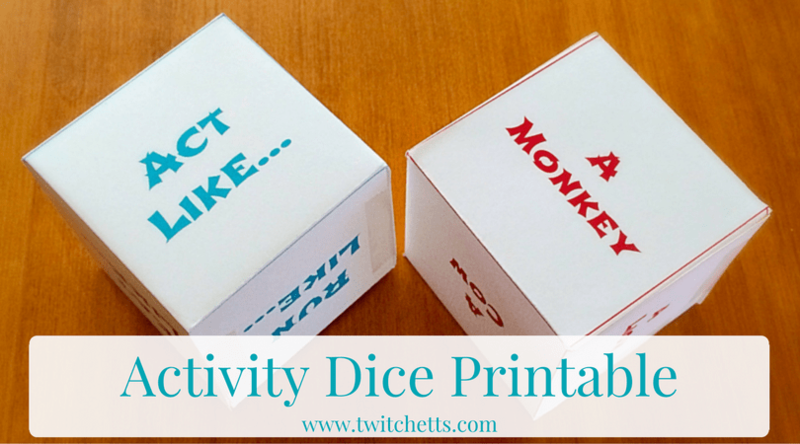 This way your little one can create these even more independently! Then move the spinner and repeat. Create any pattern or picture you want! I had to hold the center for my daughter (4), but my son (9) was able to hold it still while creating his circles. 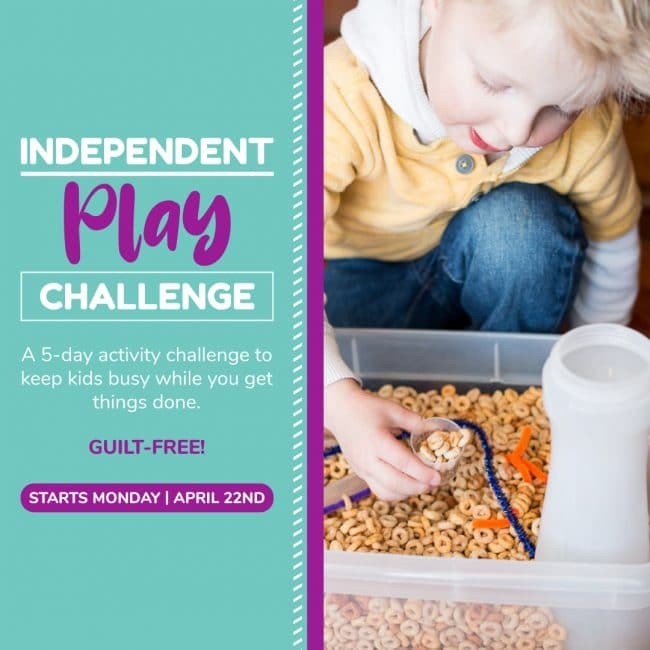 Do what works best for you and the age of your child. 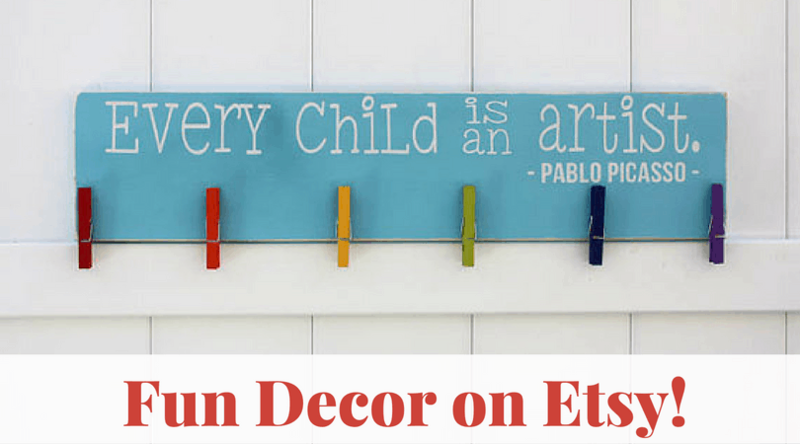 Once you are happy with your creation it’s time to add a pop of color! 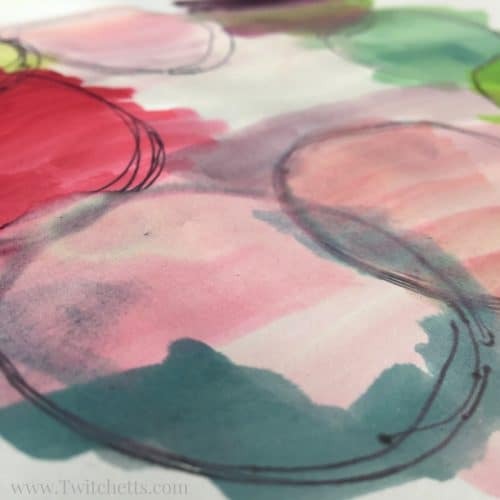 Grab your watercolors and paint. 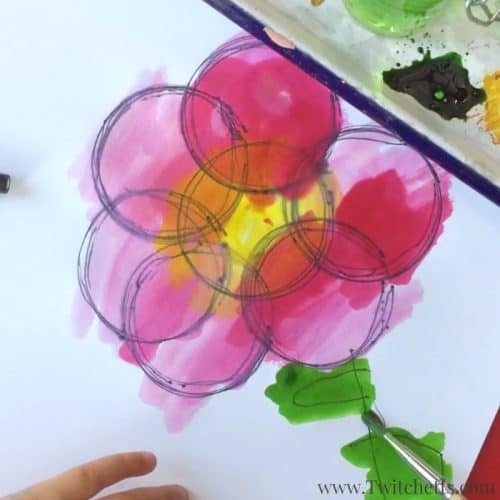 V created a pattern with one group of watercolor circles and then a flower with the others. I love how the felt pen bled a bit with the paint leaving some soft edges. Every piece you do will be one of a kind. 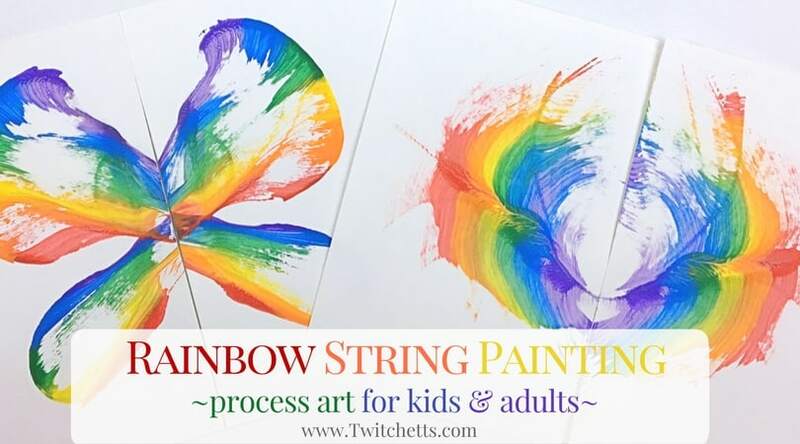 Fun process art for kids of all ages! 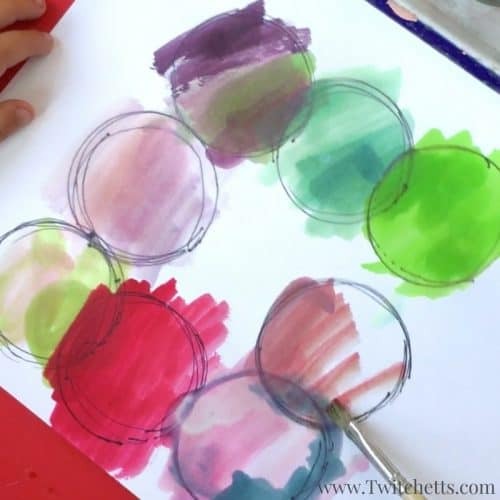 If you enjoyed these watercolor circles, you’ll love these! Don’t forget to PIN this to your kids’ craft board.